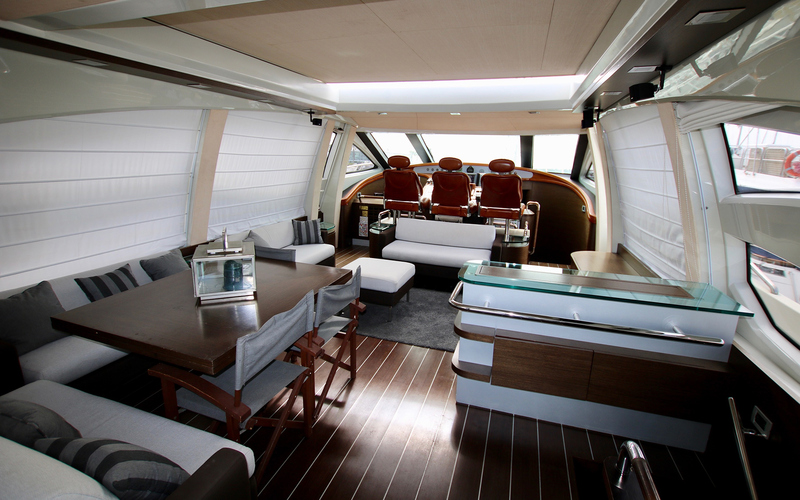 26m/85ft open yacht ANCHE NO! 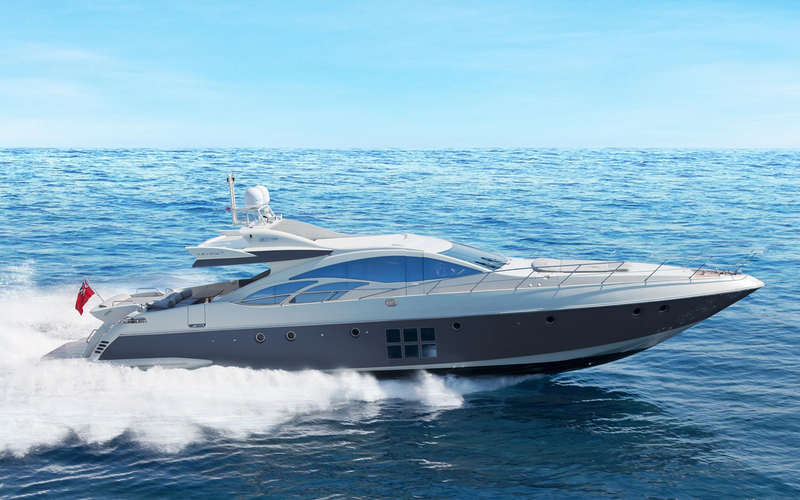 was built by Azimut with a GRP hull and superstructure. 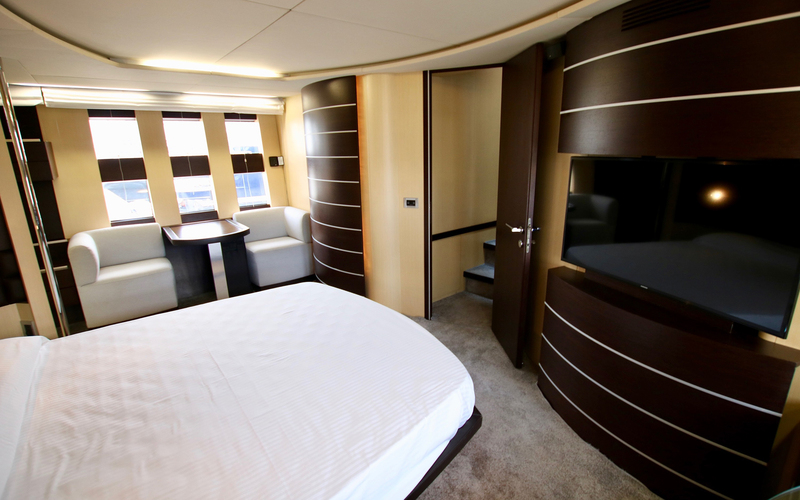 Launched in 2005 and last refitted in 2017, she has the latest technology for entertainment and provides a speedy and comfortable cruise. 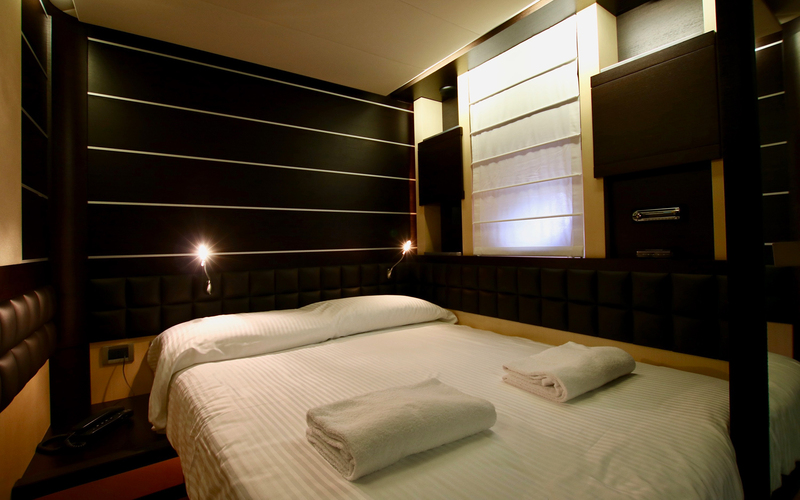 The accommodation sleeps up to eight guests over four cabins with room for 12 guests while cruising. 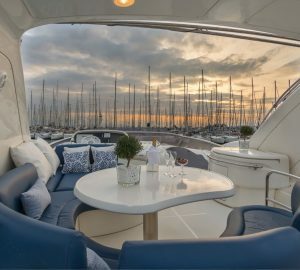 From the spacious swim platform, guests can reach the main deck aft, which is fitted with sun pads and a sofa as well as a table for alfresco dining. On the bow, there is a broad sun pad where the group can take in the sunshine. 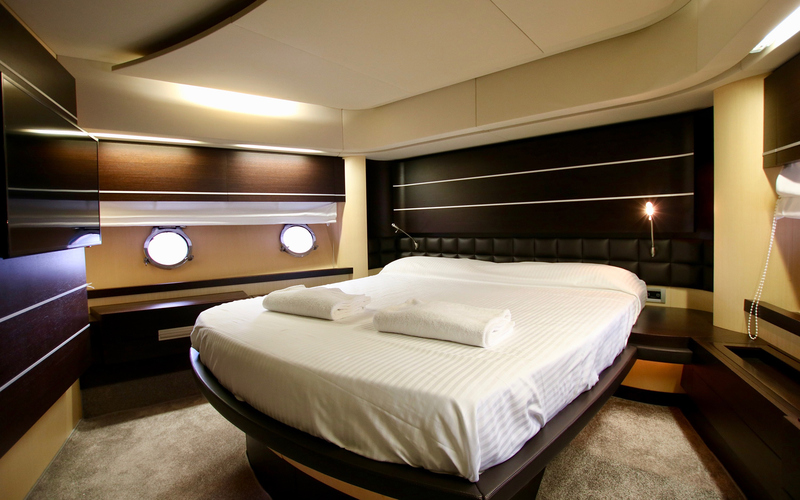 The lavish interior uses a sophisticated monochrome colour scheme throughout the shared guest areas and cabins for the perfect atmosphere for a special occasion. 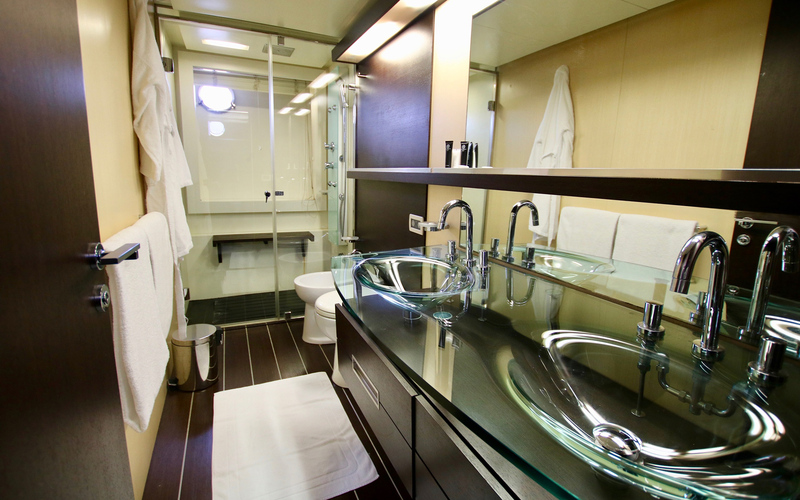 The lower deck contains the guest accommodation, which consists of a Master suite, a VIP stateroom, a double cabin and a twin cabin. 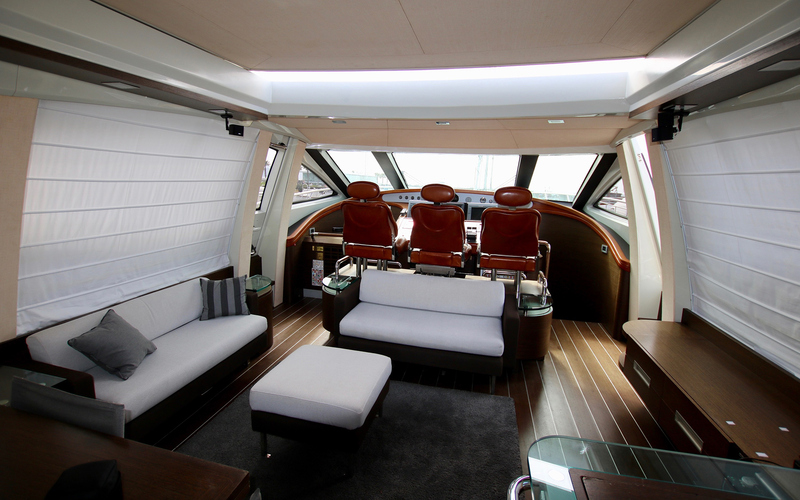 On the main deck, there is plenty of light through the large windows and the skylight for guests to enjoy the fresh air while relaxing in the casual lounge consisting of two sofas behind the helm station. 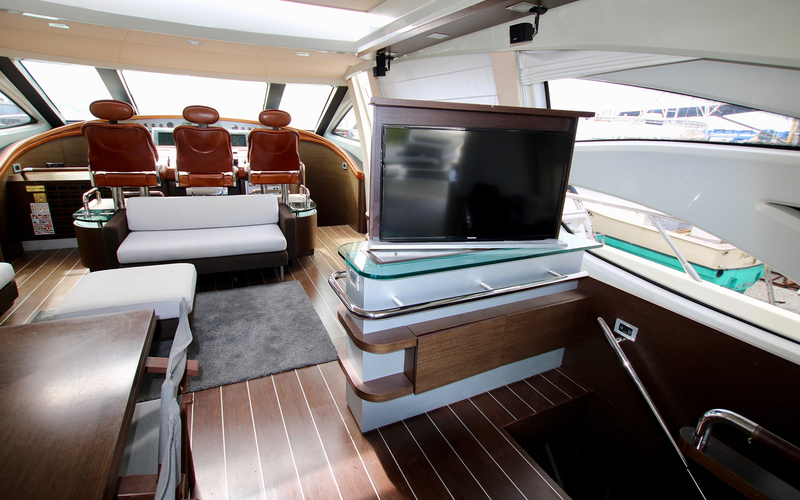 The L-shaped sofa and raised table to the aft can be used for spending time on hobbies or for dining together as a group of eight, and a widescreen TV is integrated into the starboard cabinetry for entertainment during transit. 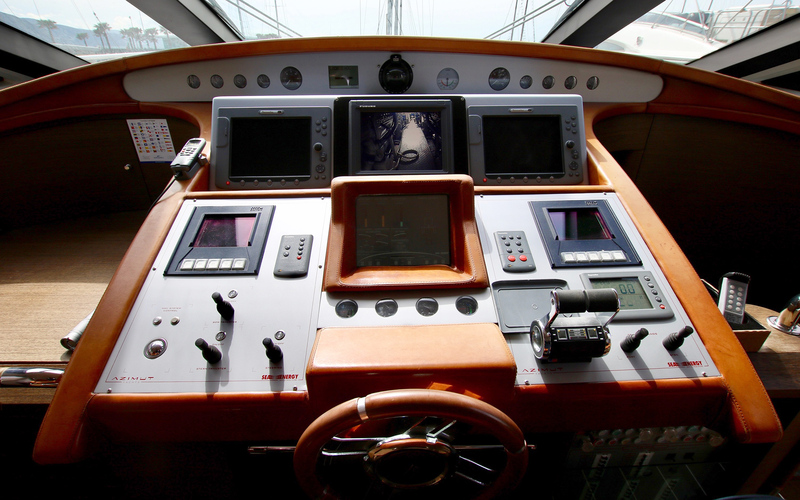 A pair of MTU 2,000 HP engines provide a cruising speed of 35 knots, and a fantastic top speed of 44 knots. 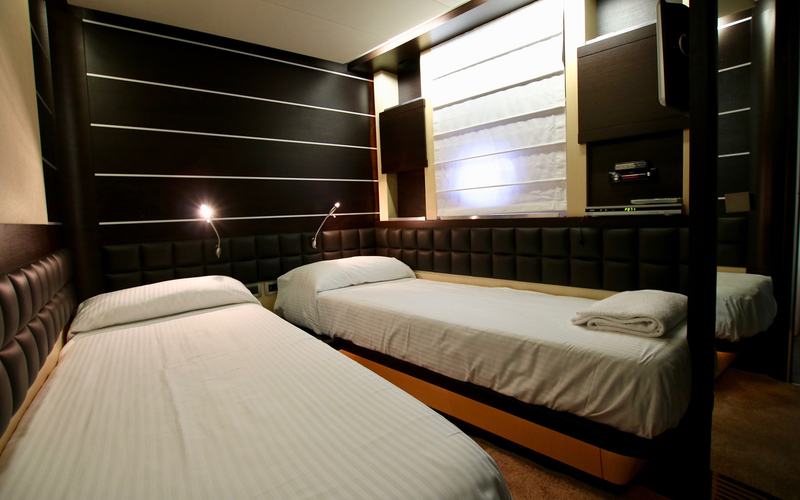 The accommodation sleeps a maximum of 8 guests in 4 cabins: 1 Master suite, 1 VIP stateroom, 1 double cabin and 1 twin cabin. The crew of 3 will keep everything running smoothly throughout the holiday.